Huffman, D., Goldberg, F. & Michlin, M. (2003). Using Computers to Create Constructivist Learning Environments: Impact on Pedagogy and Achievement. 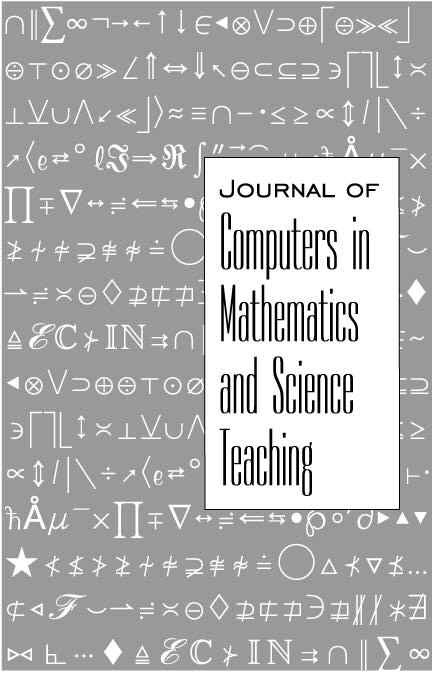 Journal of Computers in Mathematics and Science Teaching, 22 (2), 151-168. Norfolk, VA: Association for the Advancement of Computing in Education (AACE). Retrieved April 25, 2019 from https://www.learntechlib.org/primary/p/14456/. Gergen, K.J. (1985). The social constructivist movement in modern psychology. American Psychologist, 40, 266-275. Goldberg, F., & Bendall, S. (1995). Making the invisible visible: A teaching/learning environment that builds on a new view of the physics learner. American Journal of Physics, 63(11), 978-991. Grayson, D.J., & McDermott, L.C. (1996). Use of computers for research on student thinking in physics. American Journal of Physics, 64, 557-565. Greenberg, R., Raphael, J., Keller, J., & Tobias, S. (1998). Teaching high school science using image processing: A case study of implementation of computer technology. Journal of Research in Science Teaching, 35(3), 297-327. Hake, R.R. (1998). Interactive-engagement versus traditional methods: A six-thousand student of mechanics test data for introductory physics courses. American Journal of Physics, 66, 64-74. Hall, G.E., & Hord, S.M. (2001). Implementing change: Patterns, principles, and potholes. Boston: Allyn and Bacon. Hestenes, D., Wells, M., & Swackhamer, G. (1992). Force concept inventory. Physics Teacher, 30, 141-158. Horizon Research Incorporated. (1997). Local systemic change core evaluation data collection manual. Chapel Hill, NC: Horizon Research Incorporated. Loucks-Horsley, S., Hewson, P., Love, N., & Stiles, K. (1998). Designing professional development for teachers of mathematics and science. Thousand Oaks, CA: Corwin Press. Newmann, F.M., & Associates (1996). Authentic achievement: Restructuring schools for intellectual quality. San Francisco: Jossey-Bass. Von Glaserfeld, E. (1995). Radical constructivists: A way of knowing and learning. Washington, DC: Falmer Press.